New to the SS scene, picked up a Kona Unit this year and loving it. My brother's ridden it a few times and caught the bug, now we're looking for a used budget ride to get him started. Not that familiar with some of the bikes that have come and gone, trying to put together a list of all the entry/mid range rides out there as I hunt. Here's what I've got so far, what am I missing? Forgot the Surly's, thanks. I've seen some 1x1's in his price range, karate monkey is probably over budget though. Canfield Nimble 9 - the first generation model. Wish I kept mine! newmarketrog, you love your cooker maxi, any reason to not love the cooker ss? it's a challenge some of us are ultimately worthy of. specialized crave. I love mine. speaking of budget, what is it? Stop asking how much it weighs and just go ride it. That's a new one. I assume the siss and muss would make the list as well? Under $500 used. Thinking about just having him pick up the Nashbar 29er the next time they have a 25% promo, but wanted to see what else was out there. Been scouring Craigs and pinbike, just looking for some more ideas. If I can find him something better used I will. Maybe add Salsa El Mariachi, it's been thru at least one, maybe several geo updates but I think they always had an SS version or at least a dropout that easily accommodated SS. Last edited by socal_jack; 07-09-2015 at 08:05 AM. however, it was a punishing ride. the aluminum frame and 2.1 tires (on narrow rims) beat the crap out of you. I quickly sold it for even money and was hugely impressed with the difference in ride quality from a cromo frame and stans flow rims with 2.3/2.4 tires. not to mention i really like the geometry better, and the quick steering. my opinion: if you can hold out till you find a steel framed bike, you will be much happier in the long run and not have to upgrade down the line. Thanks everyone for the ideas. Here's to hoping I can find him a decent ride. Cheers. My pick out of the ones mentioned would be a Redline Monocog 29. The regular version, not Flight. Loved that bike and wish I still had it. Karate Monkey would be #2. 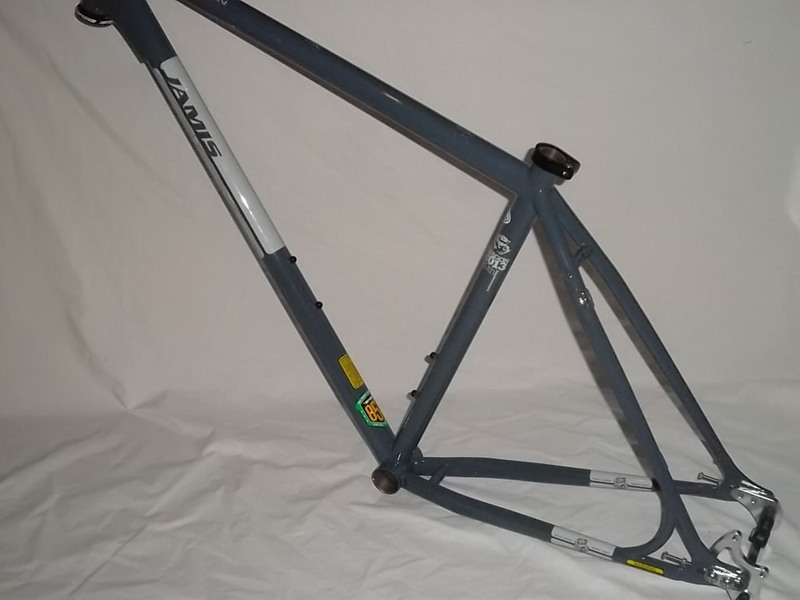 I emailed Jamis back in March if they had any left over SS frames and to my suprise they had 2 frames in their New Jersey warehouse a 2012 Large and a 2013 Large, I called a local Jamis dealer and had them get it for me, I picked the 2013. Want to buy an SB-95, but apparently they're discontinued. Am I SOL? 5 Spot to be discontinued? Jet 9 and Rip 9 discontinued?